Monday already?! Why does the weekend always fly by!? 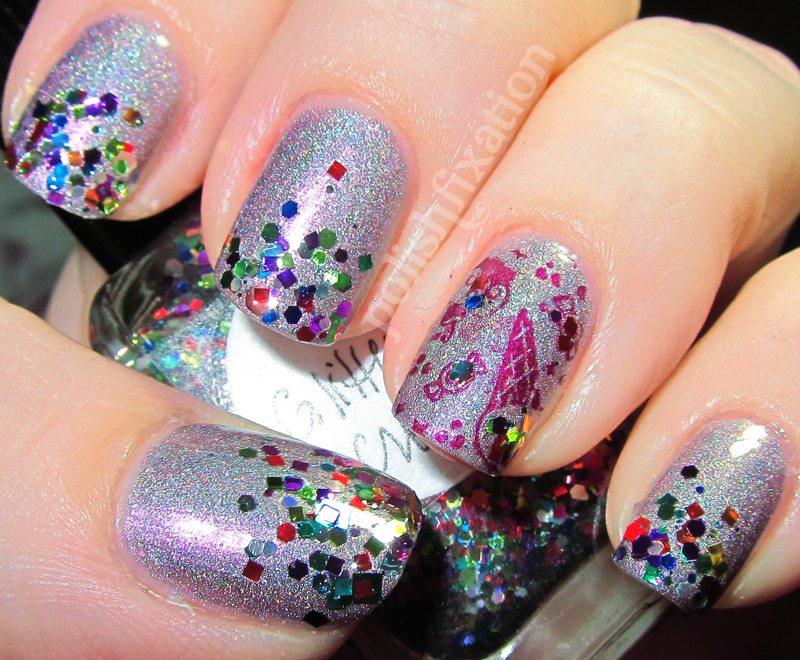 To start the week off, I've got a fun mani to share with you that I did with my Princess Tears mani from last week. I wore this to a friend's birthday lunch, it seemed fun and party-like to me and was a good excuse to finally crack open my bottle of Lynderella Glittering Crowd. So the base of this is, as I said earlier, A-England Princess Tears. I stamped with a Sally Hansen InstaDri polish (Pronto Purple), and sponged the tips with Lynderella Glittering Crowd. The image plate is the Konad Charming Nails plate Q1. What do you think of this? How do you deal with rough and stubborn glitters? wow this is cute! 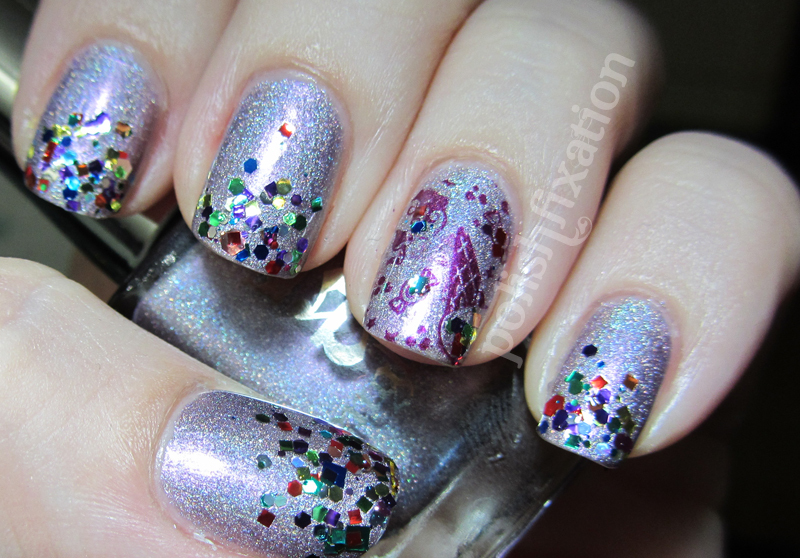 I also have The Glittering Crowd but I haven't worn yet because I was not so sure how to wear it....this is a great idea! it's lovely! Very pretty for a party. I am looking forward to hearing how others deal with the roughness of glitter. Keep up the great work! 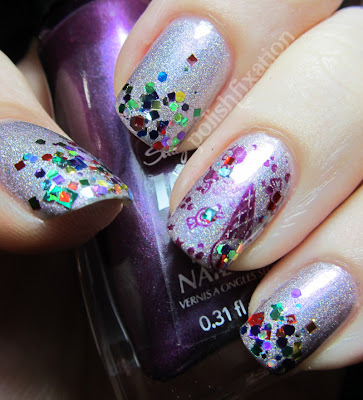 It's like a party - on your nails! perfect for a party, very pretty! I love that polish! I must have that A-England polish!